Sign up to receive M&K updates via email, and you'll not only receive the fabulous e-book The Unwritten Rules of Fashion Blogging for free, you'll also be entered into our monthly subscriber-only giveaway. The only requirement for entry is to be subscribed on the last day of the month (meaning you're entered automagically as long as you remain subscribed); winners are drawn on the last day of the month and announced the first week of the following month via the M&K newsletter. Just our little way of saying "thanks for letting us send you email :)". As a bonus, you can receive additional entries into the monthly giveaway by referring your friends to subscribe as well. Just have them type your name or email into the "Referrer" field of the sign up form @ http://eepurl.com/bfeilr. You can also enter our #M&Krelaunch giveaway here. Are you looking to start a style blog, or are you currently blogging and looking to take your hobby to the next level? You can research blogging to your heart’s content, and you’ll always find plenty of articles that purport to hold the secrets to making millions of dollars blogging - some of those articles are actually a worthwhile read, but most are a waste of time. The truth is, however, that fashion and lifestyle blogging are very different creatures from most of the other niches out there, and there aren’t many blogging how-to sites that cater to our particular needs. 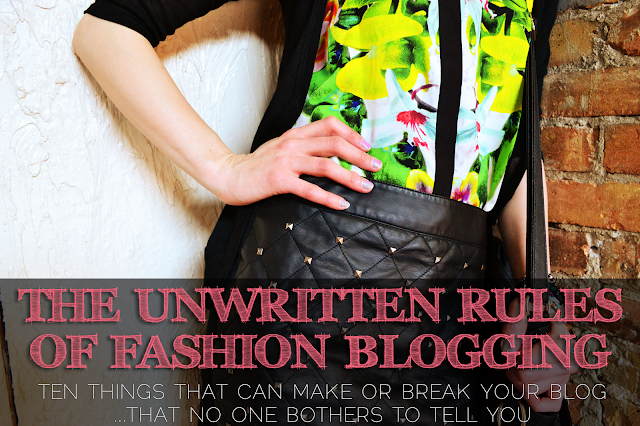 Enter: The Unwritten Rules of Fashion Blogging, the first ebook in a series geared towards fashion and lifestyle bloggers looking to take their blogging game to the next level - and free to Mommy & Kumquat email subscribers. Just pop your email into the form below, and you’ll receive your free ebook in PDF form within 12 hours (usually much faster than that!). You'll also be kept updated when the next e-books in the series are released, plus receive special offers for downloads and plenty of deals and freebies from the M&K Design Studio!